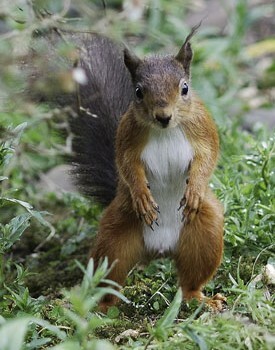 Holiday accommodation with red squirrels. Shap Wells Hotel, Nr Shap, Cumbria. 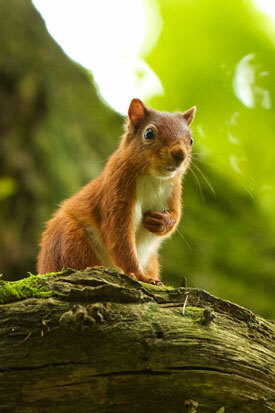 01931 716628, reservations@shapwellshotel.com Large group of very tame red squirrels fed every morning by staff. Strand Bank Guesthouse, Sebergham, Cumbria, CA5 7HR. 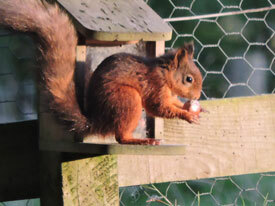 Contact Sheila Hough or Mal Hilton on 01697 476 955 Reds visiting the garden here.